Gentle peeling with honey and sugar crystals, wine seeds, scented with tangerine, gently removes dead skin layers and leaves your skin velvety smooth. Its blend of rare oils with herbal extracts nourishes and hydrates your skin. Tangerine essential oil soothes your nervous system and brings joy to your life. Brown sugar, wine seeds, macadamia oil, jojoba oil, apricot oil. Extracts of daisy, yarrow, lemon balm, chamomile and calendula. Tangerine essential oil. 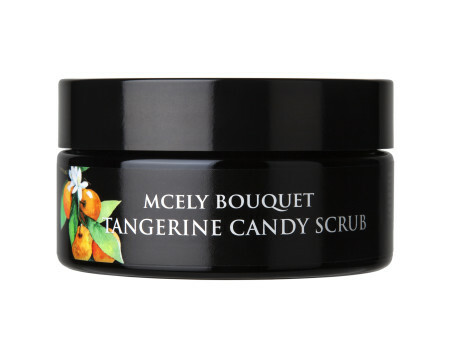 Briskly but gently massage the body scrub onto dry skin over your entire body, and then rinse with clear water.